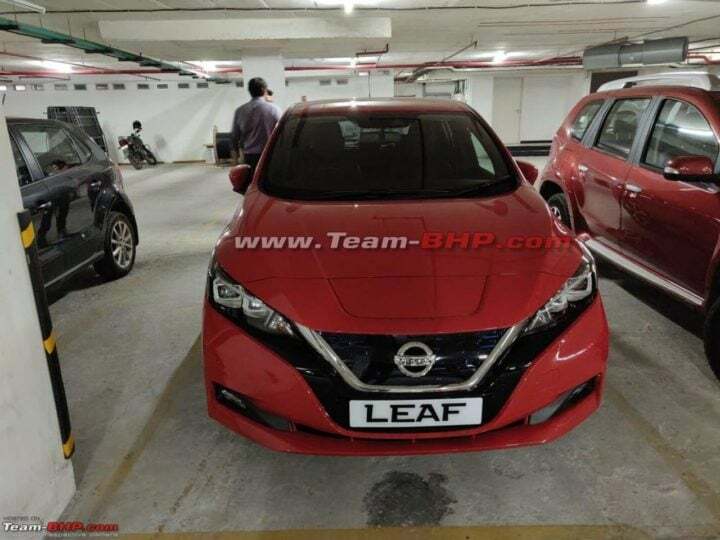 Nissan Leaf EV first sighting reported in India! 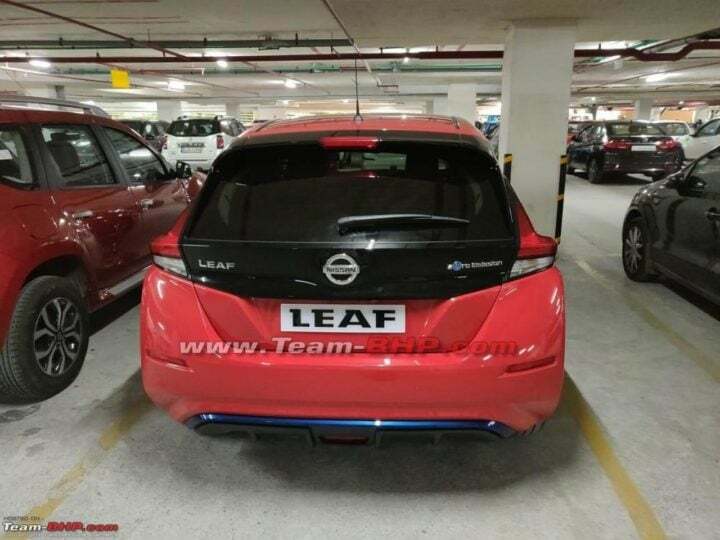 Nissan Leaf first sighting reported in India! For the first time, Nissan Leaf EV has been spotted in India. As per our earlier reports, the EV will be launching soon in India. Globally, it is the best selling electric car. Earlier in June this year, we reported that Nissan Leaf would be launching in India by the end of the year. Now, suddenly, a spy shot of the EV at a basement parking in Kerala has come up. It has been spotted without any camouflage, suggesting that the launch or showcasing in upcoming in the near future. It gets ‘LEAF’ on the number plate, confirming our doubts even more. Globally, Nissan Leaf is one of the most popular electric cars. Nissan has been exploring the Indian markets to introduce the second-generation of Leaf. It also wants to test waters with its green hatchback and check if our market is ready for the concept of the Electric cars. Nissan does not plan to make Leaf as a mass-produced model. Nissan will bring it as a CBU and retail only limited numbers of the EV. Since in India, it will be positioned as a lifestyle car, so Nissan does not expect it to garner good sales. Nissan Leaf comes with a 40kWh lithium-ion battery pack. The electric motor makes about 148 BHP and 320 Nm of peak torque. The first-generation came with a less powerful, 30 kWh pack. Leaf claims a driving range of 380 kms on a full charge, which is quite high. The range has increased by around 130 kms from the first-gen Leaf. Also Read: Honda City hybrid in works; all-electric Honda launching in 2023-24! With a power charger, the user can charge his Nissan Leaf from 0-80% in just 40 minutes. The 6Kw charger takes 4 hours to fully charge this EV, whereas 3Kw charger takes 16 hours! Features onboard will include ProPilot single lane, autonomous driving, autonomous parking, lane intervention, traffic sign recognition, rear cross traffic alert, lane departure warning and much more. Other basic features include a touchscreen infotainment system, fully digital instrument cluster, twin-pod headlamps and auto-climate control. Along with this, there will be plenty of more features, which stand unknown as of now. Also Read: Electric Mahindra SUV launching in India by 2020! Since Nissan plans to bring it as a lifestyle product, expect it to cost around Rs 35-40 Lakhs. Most of the electric vehicles available in India are quite expensive, because of the lack of facilities and infrastructure in India. It will compete with the likes of Toyota Prius.